But what would an Apple Kinect be called? While so much of the speculation about an Apple iTV recently has revolved around content deals, it's good to see the wacky rumours back on the agenda. 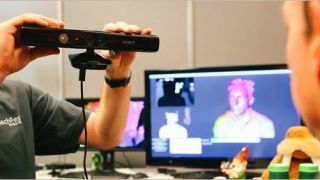 Overnight, it leaked that Apple is apparently in discussions to buy the company that created the tech behind original Kinect for Xbox 360 to use in its iTV. Let's just say we'll believe it when we see it. Just like the claims that the PS4 is hoping to fool us into believing that characters in PS4 games are real, even temporarily, we highly doubt the claims are true. A little firmer rooted in reality is the news that Microsoft's Xbox One will feature the same intelligent download feature as the PS4 that will see you playing before the whole game has made its way to your hard drive. It also looks like we've captured our first glimpse of HP's return to smartphones (although HP has since denied this) and Google Glass could soon have access to the Play Store.